Marc Ferranti of IDG News Service lists for PC World the "Top 10 Tech Stories of the Decade." Apple appears on the list twice, once for the debut of the iPod and then again for the iPhone. Simlarly, Engadget has a list of Ten Gadgets That Defined the Decade, and both the iPod and the iPhone make the list. TouchArcade, which specializes in reviewing iPhone games, has come up with its list of the Best iPhone Games of 2009. If you are more interested in retro games from the good old days, the site also has a list of the Best Retro Ports of 2009, including Dragon's Lair which I reviewed here. Lawyerist reports on iPhone-optimized websites from online law practice management websites Clio, Time59 and Rocket Matter. A lot of current iPhone owners previously used iPods, and as those iPods get older they sometimes no longer function as good as new. Kirk McElhearn writes for Macworld about uses for old iPods. For example, I have an old first generation, 5 GB iPod and an old iPod mini. The batteries in both of the old iPods have essentially died, but the iPods still work if you keep them plugged in. I have given both iPods a new life by buying inexpensive (under $40) iPod speakers including a dock from Amazon and setting them up in my kids' rooms with a mix of children's songs, including some calming music to help them go to sleep. Tyler Tschida reports for App Advice that Christmas Day was a banner day for iPhone (and iPod touch) app sales. Apple's website has a series of iPhone in Business pages that profile companies using the iPhone. There has long been a profile of the Sonnenschein law firm in the U.S., but I just noticed that Apple added a profile of an Australian law firm, DLA Phillips Fox. Click here for that page, which includes a video. CNBC is planning to show two Apple-related movies. First, CNBC is airing the great movie Welcome to Macintosh, a movie that I loved and reviewed this past March. The movie will air on January 4th at 6:30 pm Pacific / 9:30 pm Eastern. One of my law partners bought a new iPhone only to find that the phone would only work when in speaker mode. I thought this was a very strange problem, and fortunately the local Apple Store swapped his defective iPhone for a new one, but I have since learned that this is a known, occasional problem with the iPhone. If it happens to you, attorney Mike Mintz has some good advice on his Mintz's Wordz blog of the steps that you can take to try to solve the problem. This has absolutely nothing to do with the iPhone, but I loved watching the six minute animated film Pigeon Impossible so much that I couldn't resist posting about it here. I cannot believe that this was the first effort by animator/writer/director Lucas Martell (although it did take him five years). Pixar needs to hire this guy. Thanks to everyone who attended the Digital Workflow CLE in New Orleans today. It was great to meet so many iPhone J.D. readers. I look forward to meeting more of you at ABA TECHSHOW 2010 in Chicago in late March. 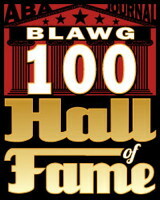 And finally, today is the last day to vote in the ABA Journal's Blawg 100 competition. I suspect that many of you have not voted, but could I entice you to do so if I PAID YOU COLD HARD CASH??? Well, I'm not doing that, but someone else actually is. 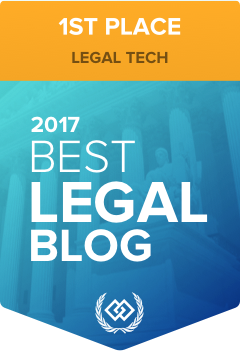 The TechnoLawyer Blog may pay you up to $500 if you vote for them. What a way to get out the vote! All you need to do is vote for TechnoLawyer in the "technology" category and then send an e-mail listing your full name, city, state, telephone number, and e-mail address to sweepstakes1209@peerviews.com letting them know that you voted for TechnoLawyer. Get more details here. Two first prize winners will each receive $500, and five second prize winners will each receive $100. I am not sure what the ABA will think of this effort to get out the vote, but TechnoLawyer does publish some great newsletters so they are certainly a deserving winner. And remember, you can vote for up to ten websites, including multiple websites in the same category (iPhone J.D. is in the technology category, along with TechnoLawyer), so while you are there trying to get some cold hard cash from TechnoLawyer, feel free to share the love and vote for iPhone J.D. as well. Click here to get started, and good luck!